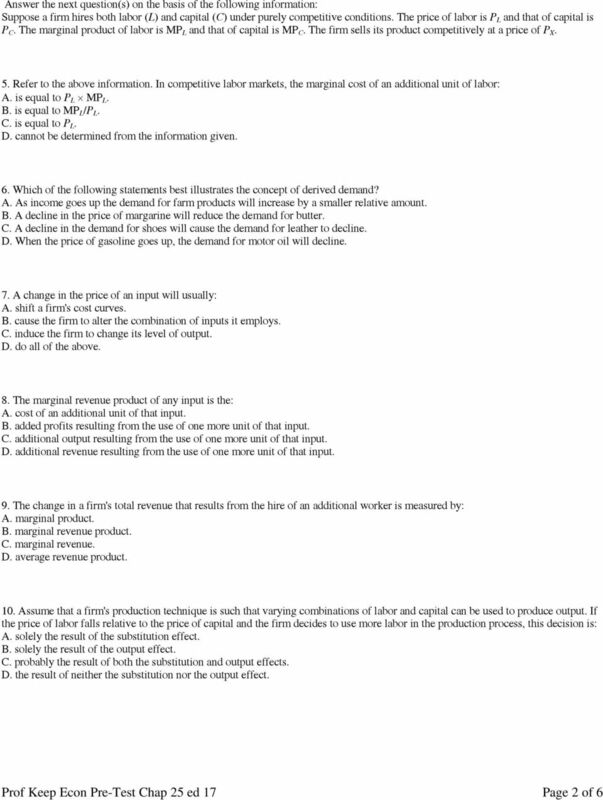 Download "Pre-Test Chapter 25 ed17"
Pre-Test Chapter 26 ed17 Multiple Choice Questions 1. 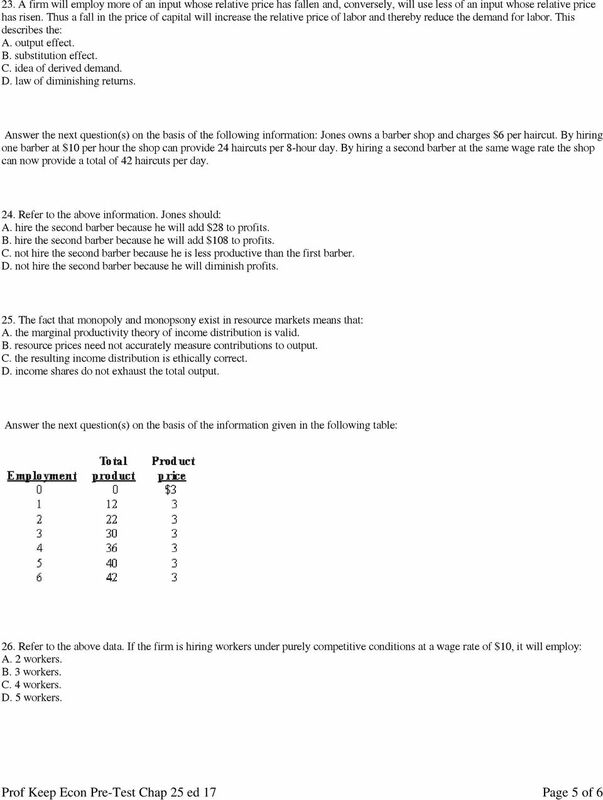 Which of the following describes a purely competitive labor market? A. MRP < Wage Rate. B. MRP > Wage Rate. C. Wage Rate = MRC. D. Wage Rate < MRC. Demand & Supply. 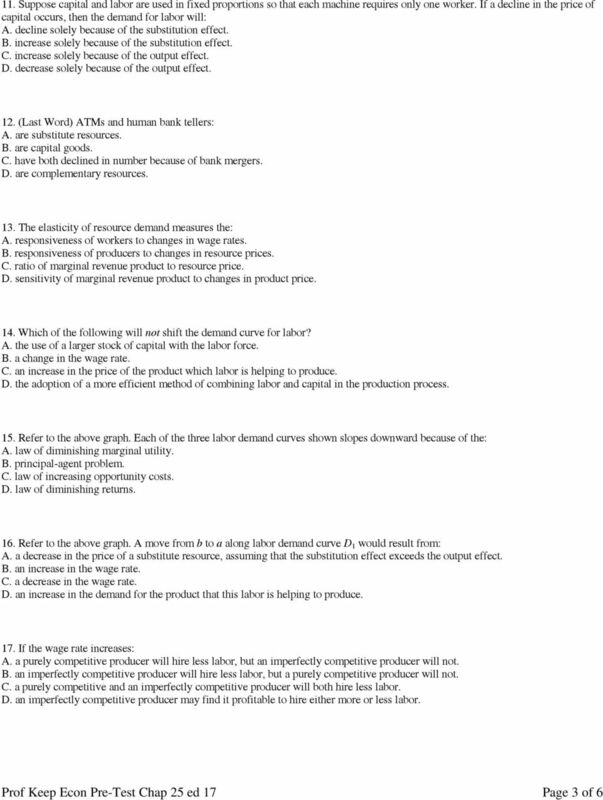 Chapter 7 discusses the laws of supply and demand and the ways in which a voluntary market supports them. Unit 2 test prep. Name: Class: Date: Multiple Choice Identify the choice that best completes the statement or answers the question. For instance between 1960 and 2000 the average hourly output produced by US workers rose by 140 percent. Midterm Exam #2. ECON 101, Section 2 summer 2004 Ying Gao. 1. Print your name and student ID number at the top of this cover sheet. OVERVIEW. 1. When a firm changes the price of its own good, it will affect its own revenue. But it may also affect the revenue of other firms. 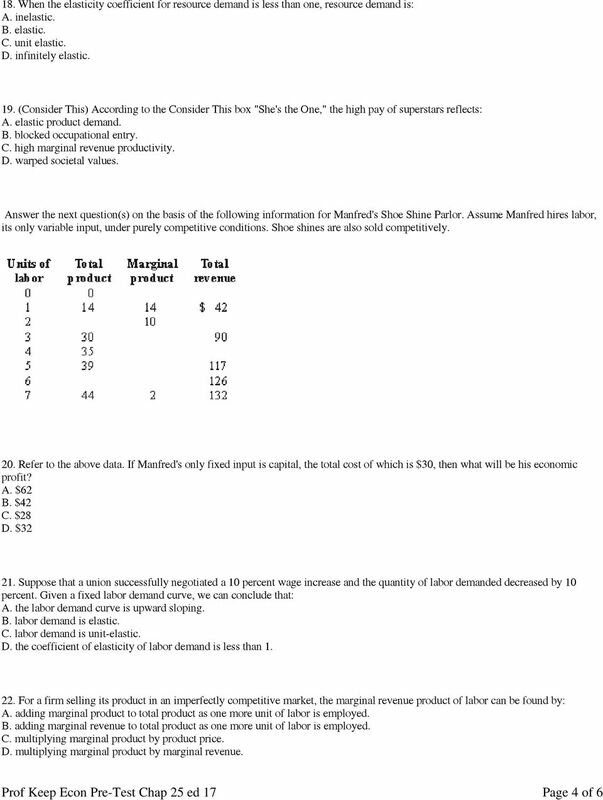 ECON 1900-2 Chapter 3 Review Quiz One economic principle states that, ceteris paribus, the lower the price of a commodity the greater will be the quantity of the commodity consumers will wish to purchase. 1. If the price elasticity of demand for a good is.75, the demand for the good can be described as: A) normal. B) elastic. C) inferior. D) inelastic.